Electronically controlled DHCE 8/60 delivers hot water instantly up to 60°C. 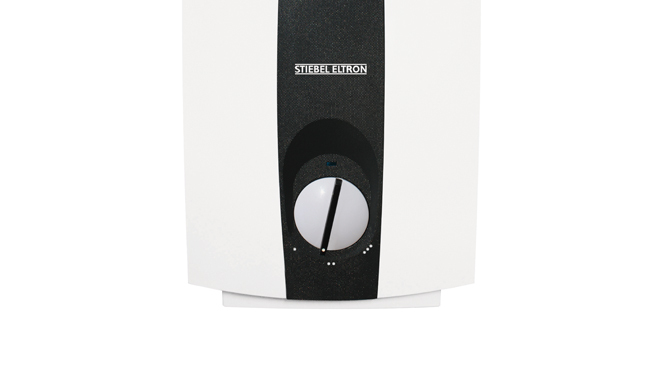 The STIEBEL ELTRON DHCE single phase instantaneous water heater is electronically controlled and has been designed for low flow installations with a switch on flow rate at only 1.5 litres per minute. Compact in size, the DHCE can be installed in areas where space is premium. The DHCE compact water heater is electronically controlled which helps to save energy and water compared to older style hydraulically controlled instantaneous water heaters. The compact design of the DHCE is ideal for close to the point of use installation and also helps save water and energy by reducing the lag time for hot water to arrive at the outlet. 1. Does the DHCE 8/60 operate on a standard 10 Amp powerpoint with a three-pin plug? No, the DHCE single phase instantaneous water heaters require a dedicated hard wired circuit as they draw more than 10 Amps. 2. Where can I install the DHCE 8/60? The DHCE 8/60 instant hot water systems can be installed almost anywhere due to their compact design. The water heater does not require ventilation, relief drain or safe trays so it can be installed in a cupboard, in the roof space, below the sink, in a service cavity, in a Euro laundry just to name a few options. 3. Is the DHCE 8/60 suitable to use with low flow tapware? 4. Can I replace my electric storage water heater with a DHCE 8/60? The DHCE 8/60 instant hot water system will not deliver the same temperature hot water at the same flow rates as an electric storage water heater. Please contact our customer service team on 09 486 2221 to determine which instantaneous water heater is right for your application. 5. How far can the DHCE 8/60 be installed from the hot water outlets? The DHCE 8/60 is designed to be installed as close as practical to the most used hot water outlet. Installing closer to the point of use can help to save water and energy by delivering hot water quickly to the outlet. The STIEBEL ELTRON single phase electric instantaneous water heaters are designed to service multiple outlets located several metres away from the system.